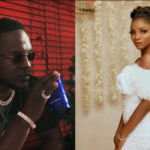 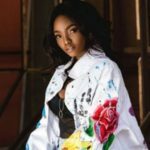 Simi has taken to her Twitter account to reveal that her unborn children when they are finally born will not be owning or getting access to mobile phones until they clock 24 years of age. 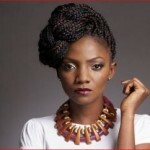 It is very understandable as to why Simi seems to be pondering on taking such decision. 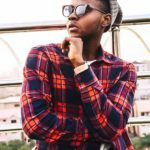 The internet is already a place where morals are lost and sanity forgotten. 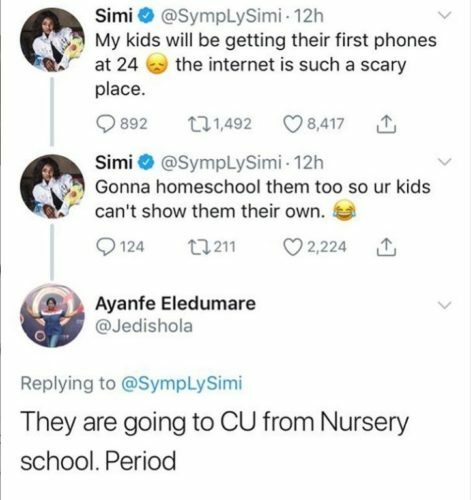 A lot of kids learn the terrible side of the internet more than the bad side and this has continually damaged the society in a very severe manner. 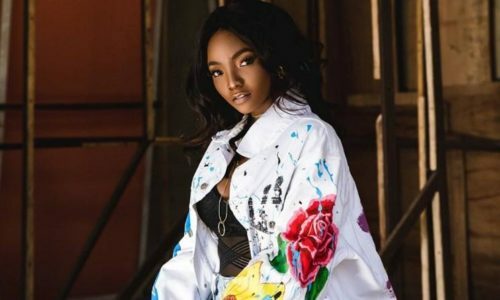 Meanwhile, Simi is on the run up to the release of her album; “Omo Charlie Champagne” which is set to drop on the 19th of April which happens to be her birthday too.